Just a short and sweet post today. 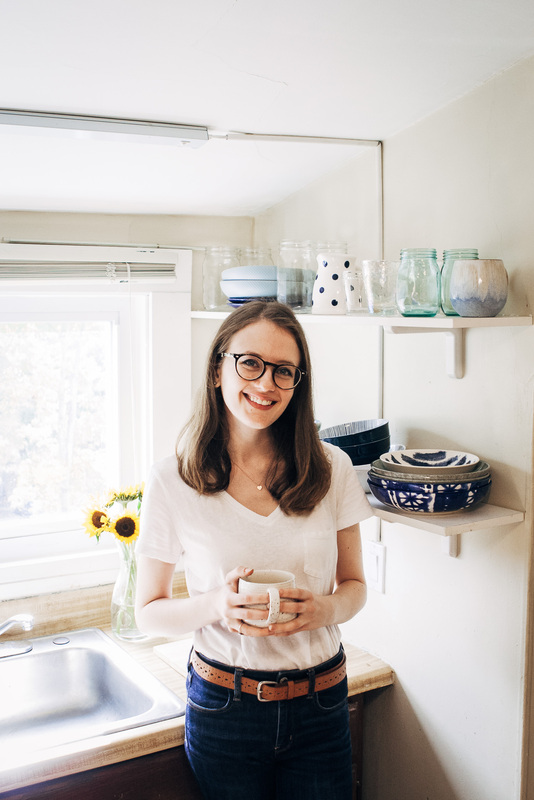 It’s been a very tumultuous time lately, with my recent lifestyle changes, and other events going on in my personal life that I’m not quite ready to talk about yet here. Right now I’m just trying to spend time with friends and family, being around people who care about me and support me. Today’s recipe is pretty awesome because it’s part of the #DRINKTHESUMMER party hosted by Sherrie of With Food and Love! I’ve had this recipe in my back pocket for a little while and I was waiting for the perfect time to showcase it. And what better time to post about summery peach bubble tea than during a beverage party with other rockstar bloggers?! 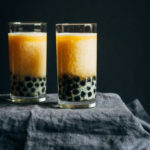 It’s the perfect drink for this hot August weather, and super-sippable with the chewy tapioca “bubbles”. I hope you love it! 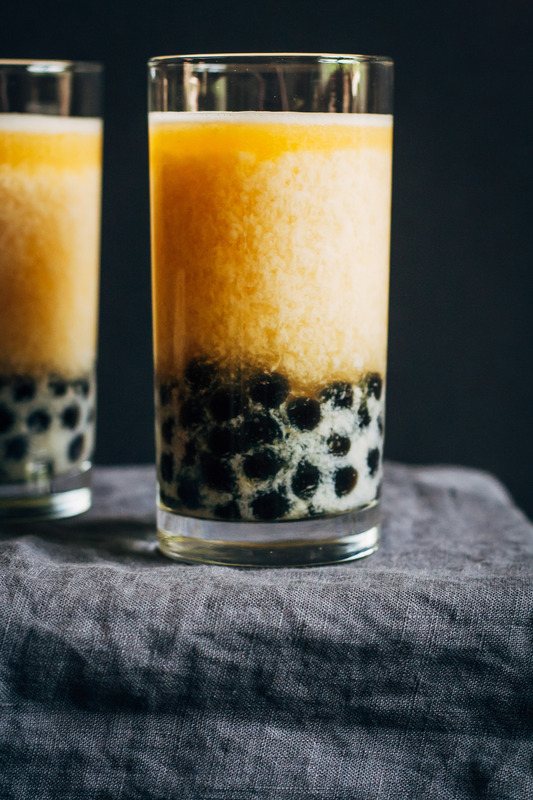 This easy, homemade peach bubble tea is the perfect summery drink! 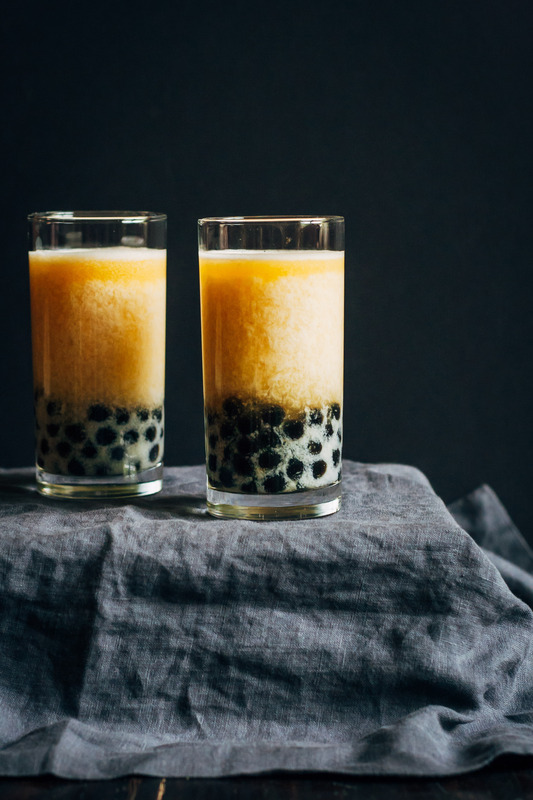 Flavored and sweetened all naturally, with chewy tapioca pearls as the "bubbles"! Start by making your tea. There's two methods you can use - the standard and solar tea methods. If making standard tea, bring the water to a boil, then let cool for a minute. (Adding tea to boiling water can make it bitter.) Add the hot water to mason jars (or any heat-proof vessel), then add two tea bags for each jar to steep for two minutes. When done steeping, remove tea bags. 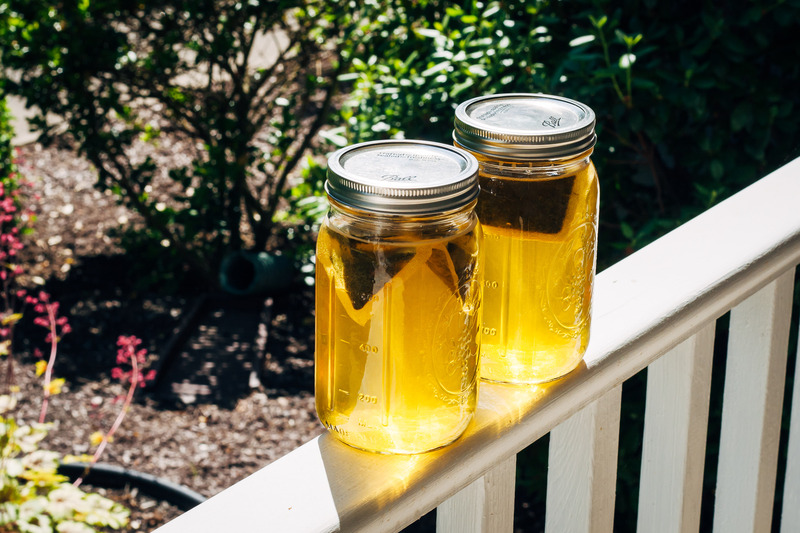 If you want to make solar tea, add the water to the mason jars at room temperature, then add two tea bags per each jar. Put the jars of tea out into the sun and let steep for 3-4 hours. Once tea is done (using either method), chill in the refrigerator for an hour or two. Or, just add ice and shake it up in the jars. Cook 1/2 cup tapioca pearls according to package directions. When done, drain and set aside to cool. 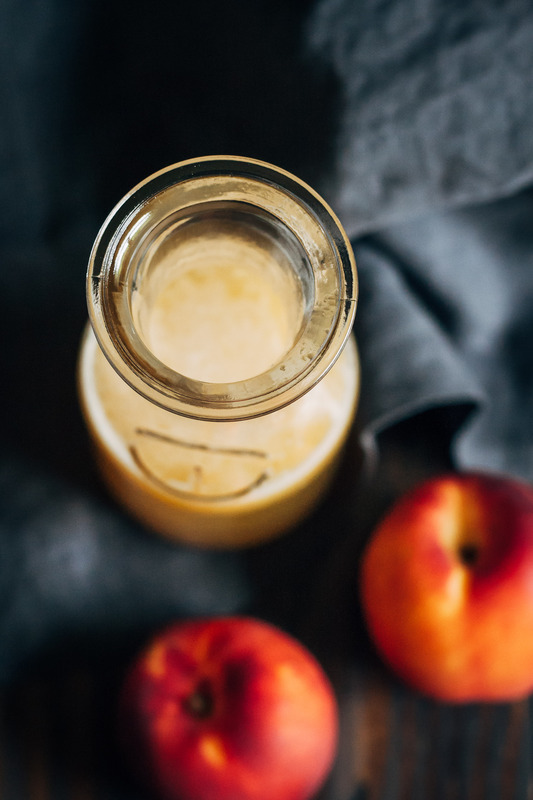 In a blender, combine peeled peaches, maple syrup, and water. Blend until smooth. Add half of the peach purée to one mason jar, and the other half in the other mason jar. Close the lids and shake the tea very well in each jar. Taste, and adjust if needed - i.e., add maple syrup. 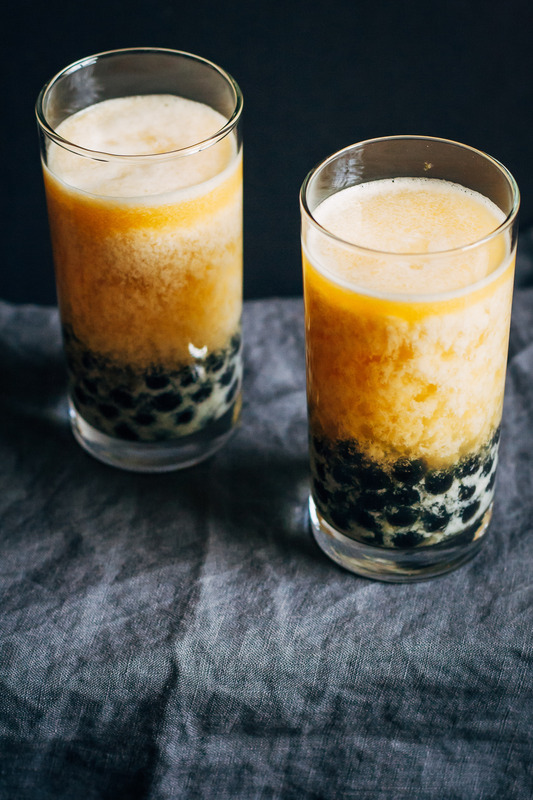 When ready to serve, add as many tapioca peals into your glass as you like. Fill the glasses with tea, leaving room for plant milk if desired (I used almond milk). most of the time i just stick to plain black or green milk tea. why try the fruity flavors when i know they’re all going to taste artificial? but this sounds delicious, perfect for summer and filled with juicy peaches. I’m the same way… I never get fruity tea when it’s made from artificial flavors. So I knew I had to make a tea with real peaches!! :D Thanks Heather! 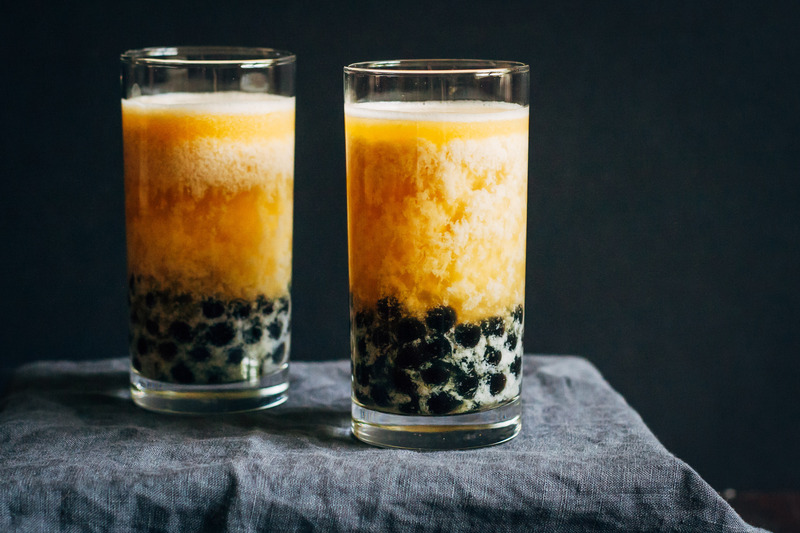 Homemade bubble tea? And peach, to boot? You, my friend, are a genius! #yessss! where did that bubble tea trend go? The ones with tapioca pearls were always my fav! Me too!! I like the popping boba, but nothing beats classic tapioca ;) Thanks Bianca! 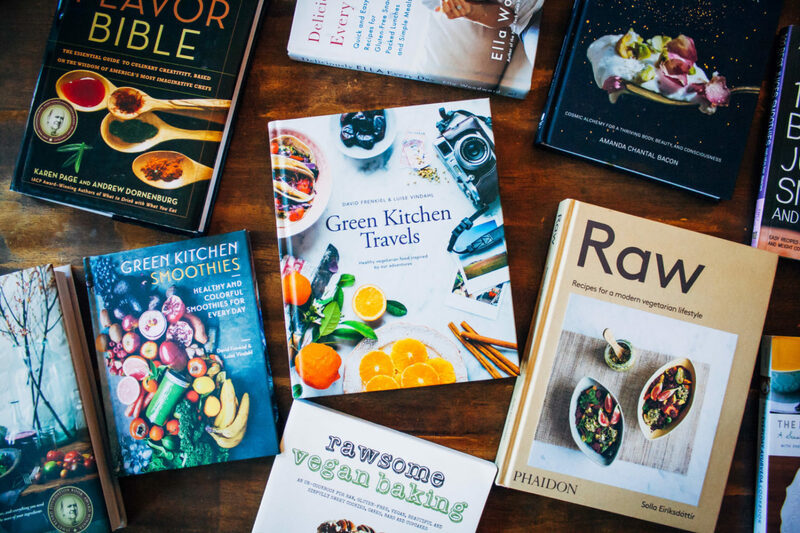 Oh yum, these look SO good! These are so fun Sarah! Thank you for bringing such a lovely contribution to #DRINKTHESUMMER 2016!